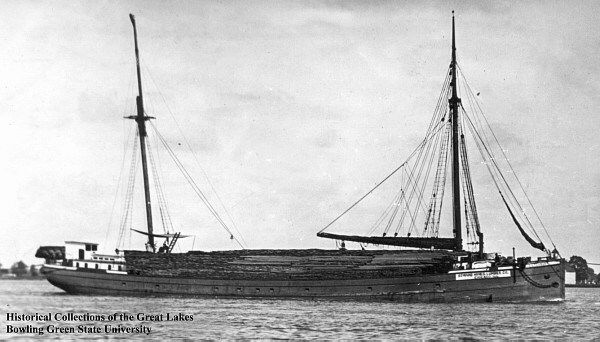 Launched proudly in in 1890 at West Bay City, Michigan, the Employee’s Mutual Benefit Association(EMBA) was originally names the A.C. Tuxbury and was a three-masted schooner 171 feet in length with a beam of 33 feet. Designed as a tow barge, and saw over three decades of faithful service on the Great Lakes hauling commodities like coal, grain, and lumber. In 1923 she was sold and renamed the EMBA. Upon transfer, she was converted to a self unloader and saw another near-decade of service hauling coal on the Milwaukee River. In 1933, she was retired, stripped and scuttled. Of course, she still serves today from the bottom of the depths as an attraction for advanced technical divers. Sitting upright in 170 feet of water, she is largely intact and a great wreck for exploration. We visit the EMBA from Milwaukee.